Chinese automaker Foton Thursday launched new vehicle brands in the Kenyan market as it seeks to establish a larger foot print in a region where demand for new-generation cars is on the rise. Principal secretary in Kenya’s state department of trade and industry, Patrick Mwangi, witnessed the launch of Foton’s AUMAN EST and SAUVANA AT vehicle brands accompanied by the economic and commercial counselor at the Chinese Embassy in Kenya Guo Ce as well as senior Foton executives. Mwangi said that Foton’s launch of new products in Kenya confirmed its confidence in the vibrant automobile sector that has emerged as a key source of jobs and revenue to the country’s exchequer. “The launch of new vehicle series is a demonstration of Foton’s confidence in Kenya’s automobile industry,” said Mwangi. He noted that Foton Motor Kenya Ltd, a subsidiary of Foton Motor Group, has pledged to increase its production capacity in Kenya thanks to fiscal incentives rolled out by the government. “Foton Motor Limited should take advantage of fiscal incentives to establish an assembly plant in the country,” said Mwangi adding that Kenya’s rapidly developing construction sector represents a niche market for Foton’s heavy commercial trucks. On his part, Guo Ce said the launch of Foton’s new products will boost growth of key sectors like infrastructure and manufacturing in the East African Nation. 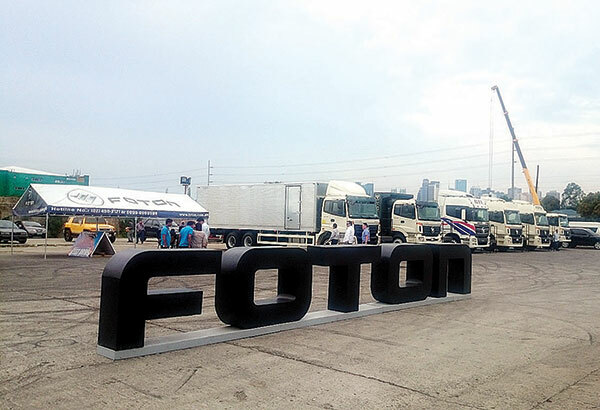 Foton’s motor vehicle brands that include heavy commercial trucks, buses and pickups have higher brand recognition in Kenya since the company opened its operations in the country in 2012. Statistics from the company showed, since 2005, Foton has sold about 95,000 commercial vehicles to Africa, among which some 4,000 were sold to Kenyan customers.